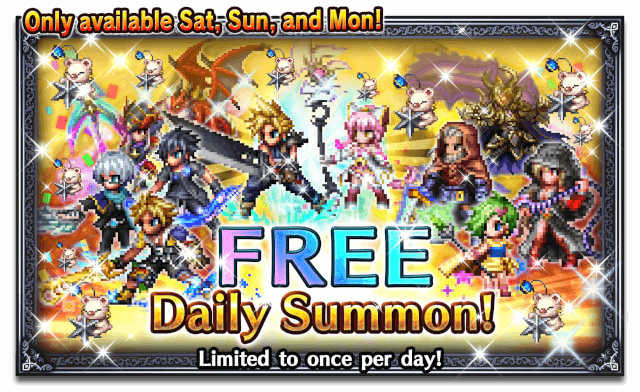 * Free summon is limited to one summon per day. ** Each summon includes bonus 3★ Trust Moogles (unit specific 5%) for permanent units added to the game prior to April 5, 2019. *** This summon pool consists only permanent units added to the game prior to April 5, 2019.